Anna: So much to talk about so lets focus maybe on „handball“ subject ;) I guess I was around 8 years old when decided to play handball – too lazy to run I became a goalkeeper ☺continued that until my last year at uni. In high school got an idea about becoming also a referee – turned out pretty well as I am still happy to do that. 2 years ago I read a post on our Polish Handball Federation website about beach handball course... at the time had no idea what it was. One weekend I decided to check out – went as a spectator to see my first beach handball game and... I fall in love with the handball I'd never seen before, with the atmosphere, with the way it was. I met amazing people and among of them the most important one – my ref partner Edyta(!) who guided me through my first games, tournaments. All seems like a coincidence. Very lucky for me though. Edyta: My history of beach handball is bit longer. I started playing handball when I was 12-13 years old. In the city where I lived the tradition of men handball is quite huge though there was no place for me to improve my skills. My dad was a referee so I think the ability to become one of those was in my veins, waiting for me ;). When I was 19 I realized that this is a thing I really want to try so I took a decision. I got my first whistle from my dad. Around the same time I saw beachhandball for a very first time– and since then I cannot imagine holidays without this sport. Year by year I took part in many tournaments in Poland and finally – 2 years ago I met my partner Ania. It couldn't end up better hehe ☺In everyday life I'm a student at Wroclaw Medical University. In which tournaments were you involved so far? Which were the best and the worst experiences? Edyta: Ania said almost everything. I can add that we were on some EBT tournaments in Europe – Balaton Cup (Hungary), Camelot (Netherland), Einsiedeln (Swiss – during the winter !) and German Final 2014. This year we’re planning to visit more places and see old friends in Italy and Germany. What is the main thing that you expect in the player-referee relation (honesty, fair play etc..)? Edyta: I expect fair play and smile! This is so magic sport and with a smile and respect to each other we can show everyone that beachhandball is filled with positive emotions. Also I like when players and officials don’t start long discussions with refs during the game. Quick comment and after the game we can talk about everything and explain many situations – and we have time for that. In that way it's easier to stay focus on a game and try to do our best. Anna: Fair play attitude of course (and no discussion about that) but immediately afterwards I'd say: mutual respect. Both sides: officials and players, we are there to „create“ amazing sport spectacle, enjoyable for those involved in game, as well as for those watching from a side as spectators. Which handball version do you prefer (beach or indoor), and explain us little bit your answers. Anna: Not easy question. I think I am not able to give an answer so let's say only that with much bigger excitement I am waiting for beach handball season to begin. 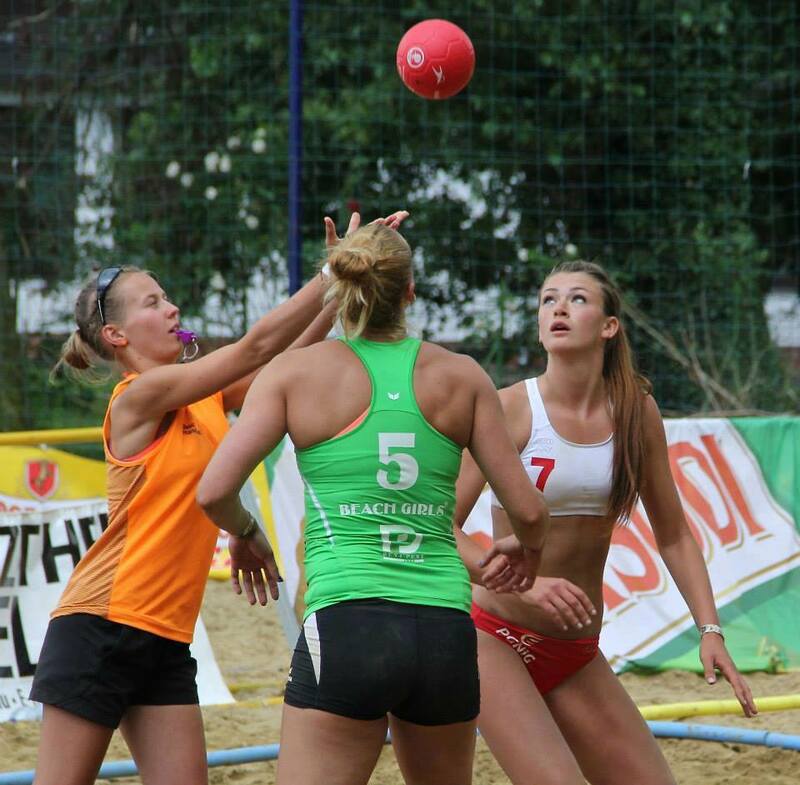 Edyta: Beachhandball ! I love this atmosphere, so many beautiful actions and people who create this sport. This is my passion. But...truly saying I'm involved with handball and beachhandball throughout the year, I need just a little break between indoor and beach seasons. What are your further goals and on which competitions do you plan to participate in the near future? Edyta: As Ania said. I hope we can visit many tournaments this year. What about forthcoming years ? We don't know yet. 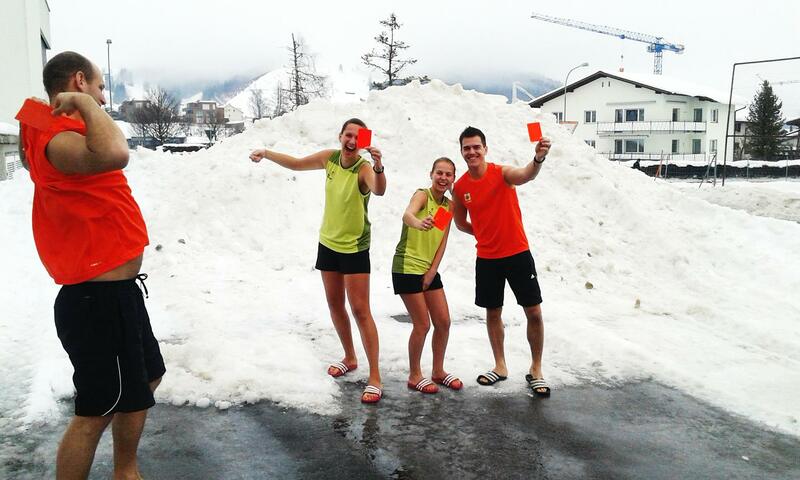 For sure we want to stay with beachhandball and no one knows where we go in the near future. We dream to referee the most important events in Europe and in the world but we have to wait for our time. But we practice all the time to be well prepared. Can you tell us something about Polish beach handball at this moment? How many tournament do you have in Poland in total and which is the best, by your opinion? How is your national championships organized? In our opinion Polish beach handball states on a very high level. We have great players forming great teams. And that is what makes this “version” of handball more and more popular in our country. This year we have 5 Polish Master tournaments and as every year Polish Cup tournament – all EBT. Which one is the best? Come on… all are great!!! Very well organized, filled with teams from Poland and other European countries, fun, passion and spirit of the game! About Polish championship – if as a team you want to be a part of this competition you have to participate in all tournaments. According to the final ranking of each tournament teams are awarded with points. The team with the highest number of points at the end of last competition is the winner. Polish Cup is a separate event. Edyta: People. Maybe it's not a „thing“ but they are the most important part of this sport. 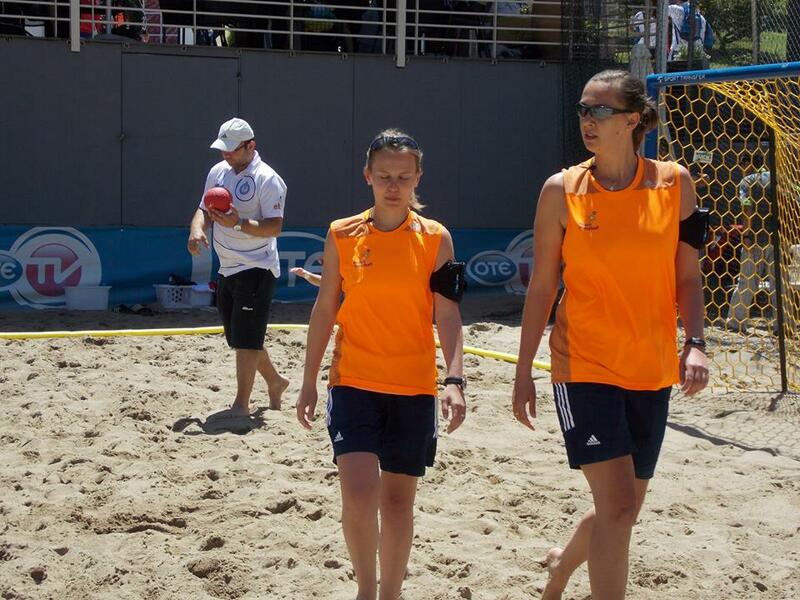 I'm glad that I can met so many absolutely amazing people throughout my adventure with beachhandball. What about changes...in my opinion there's nothing to improve but I know that EHF is making some Brainstorm Clinics to talk about new ideas. Girls, thank you and see you soon.